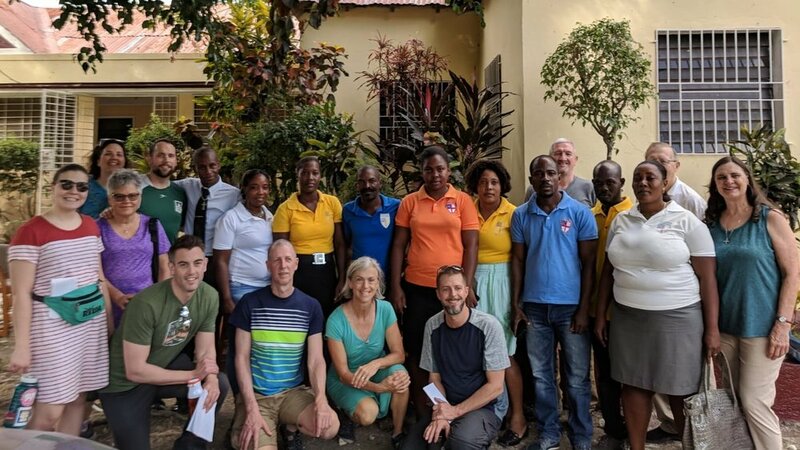 Father Ed, one of these founders, was joined on this trip by his son Andy and granddaughter Molly, who were visiting Haiti for the first time after hearing stories for years. While visiting a sixth grade classroom at St. Paul’s school, a student asked Father Ed to visit Petit Trou more often. Father Ed demurred, explaining that travel had become more difficult for him recently, and he could only promise to do his best. As the sixth grade girl nodded in response, Andy leapt in: “If he can’t make it, I’ll come in his place!” he shouted in English, jumping forward in a warm way that required no translation. 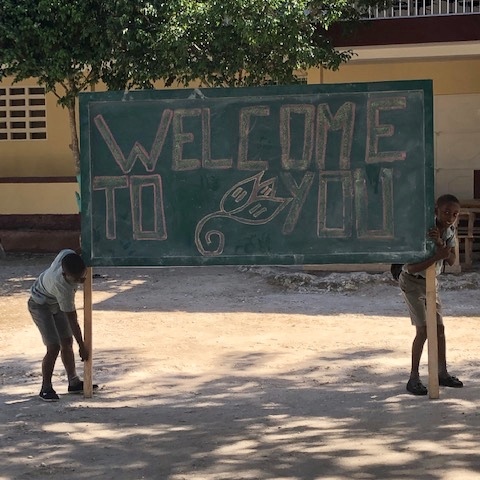 The Petit Trou community displayed a welcome sign for the visitors. A second visit from a different group of Coloradans is on the calendar for April. Jamie Kilcoyne, a CHP board member, is spearheading a 30 kilometer run in support of CHP’s campaign to raise awareness about the urgent initiative to safeguard St. Paul’s school and bring solar power to its campus. Learn more about how you can become involved with their campaign here.